I’ve been wanting to get into tracking my cars (hence my M3 beater purchase), so I’ve been checking the various organizations to see who was local and running. 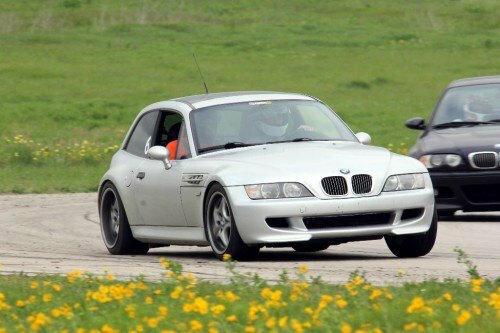 I came across the Lone Star Chapter of the BMW CCA‘s website, who had an upcoming Spring track-day event at Motorsport Ranch Cresson. They still had availability in their novice group, so I signed up. I originally had planned on bringing the M3, but it was in no condition to be driven on a track (or a public road for that matter.) So I got the M Coupe ready, reserved a hotel room and made the drive to Cresson. I honestly did not know what to expect, having never done any track days, DEs, HPDEs, or even Auto-X. So I came a little unprepared. I had just shown up with the bare essentials; a Snell 2010 helmet, cotton pants and shirt…. and that was it. There was a wide variety of cars in the paddock, everything from pure race cars to a 335i daily parked next to me. But everyone had at least a torque wrench, tire pressure gauge, and a sense of how the track was laid out. After arriving at the track at the break of dawn, I made my way to the two story clubhouse for registration. Every driver must bring in their helmet for inspections, then you are given a large envelope with a daily schedule, track map, and vinyl decals. Each car is numbered and a small colored star goes on the front windshield, green for the novices. Shortly after that there was the mandatory drivers meeting where they review safety items like flags and passing etiquette. Following the drivers meeting the novice classes began. The instructors from the BMW CCA were great, spelling out the basics of track driving, covering every imaginable subject. Of course this was novice, so it was still very basic, but you learn the terminology. Besides the scheduled classes, everyone is free to roam around the grounds, go to a restaurant, wrench on their cars, or whatever they feel like. 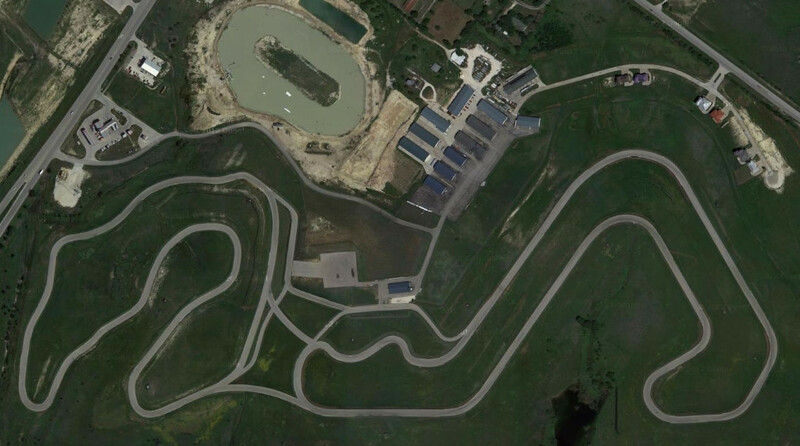 You have four 20-min sessions per day to run around the track with your instructor. The first outing was with no helmets under yellow with the instructor at the wheel. 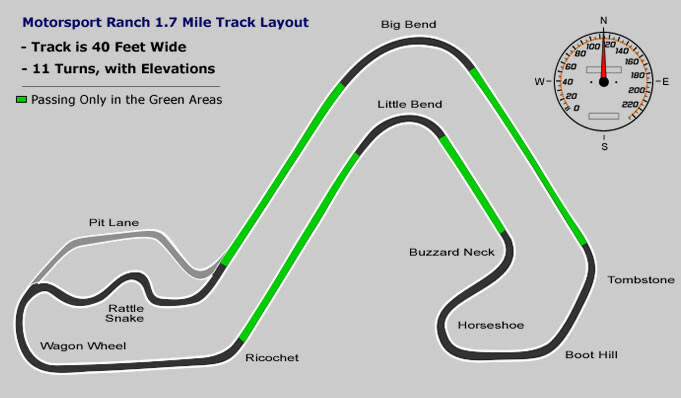 The idea is that you take in the proper line and see where the braking zones, turn-in point, apex, and track out are. Having never been on a track, I was a bit overwhelmed for the first few sessions. Fortunately, my instructor, Kyle, was extremely good and took time to talk me through the driving between sessions. I felt I was gradually improving, pushing the car harder, until the point the brakes were going soft. Since I hadn’t intended to track the M Coupe, it was sporting completely OEM brake parts, to include the fluid. The heat was building up and overwhelming them, even on relatively short 20-min stints. My tires, Continental DWs, weren’t meant for this type of abuse either. That said, they performed fairly well for a 300 tread rating. Most of the field was running more performance oriented tires, and it showed. Perhaps the most difficulty I had was being consistent. I could perfect one corner then completely screw up the next one. The problem is exacerbated with another car filling your mirror, or when closely following another car and taking their line, often times not the best one to follow. Even though this is not racing, competitive nature can only be repressed so much. No one wants to be passed, you want to do the passing. It’s also a good indicator of how you are progressing, a car in the distance providing a visual yard stick. I could go on and on about this two day event, where I learned more than months of reading forums. It was a great experience, and I’m definitely hooked and looking for my next opportunity to get out there. For next time I’ll be a little better prepared; better brake pads and fluid, a torque wrench, tire gauge, and window cleaner. 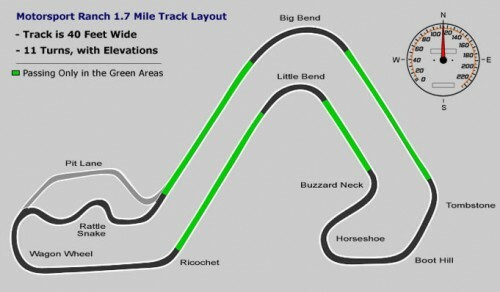 I’ll also be sure to study the track layout and watch Youtube videos of the course, as recommended by my instructor.